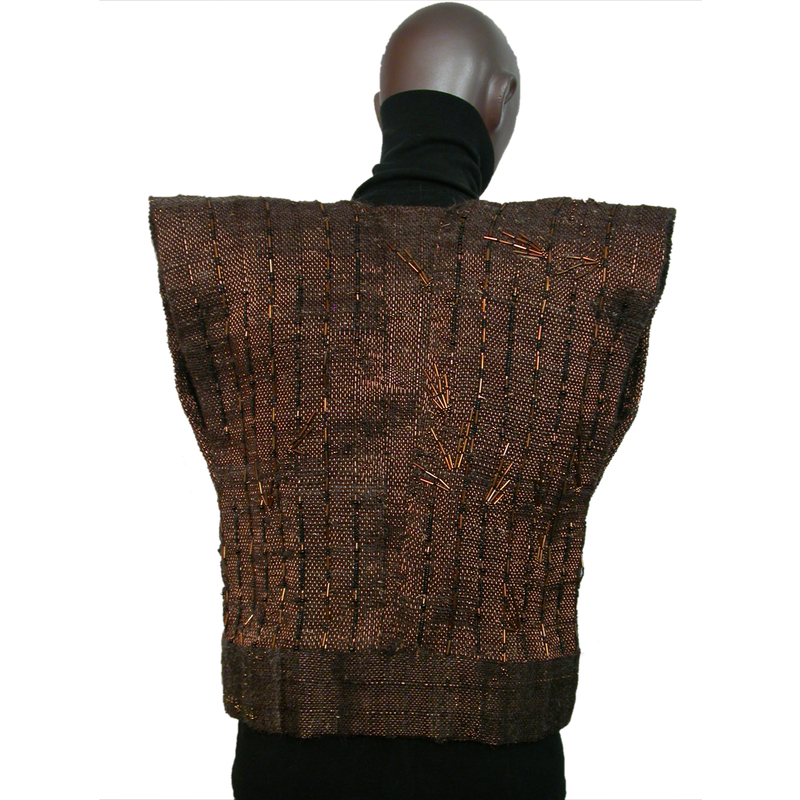 Vest was handwoven on floor loom using copper wire as warp with hand spun natural alpaca woven in. 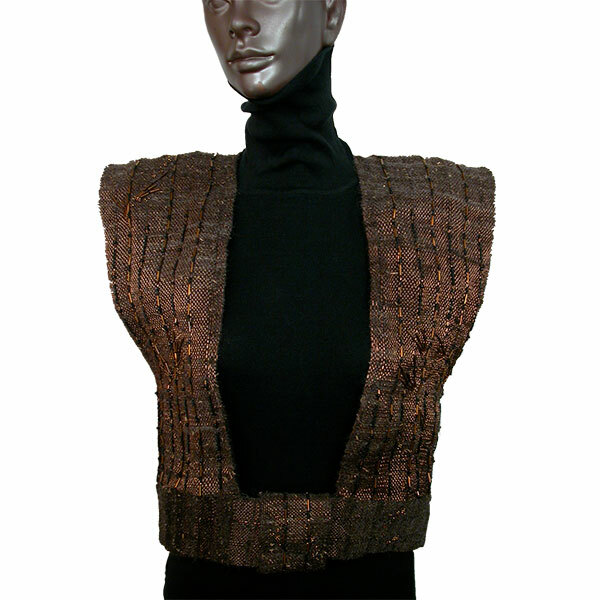 Vest is lined with black, handwoven Bombyx silk. Heavily embellished with hand sewn-in Czech glass beads. Completely hand-stitched and belted.